An Interview with Lisa Napoli – Radio Shangri-La!! Why write about Bhutan? What led you to it? I knew next to nothing about Bhutan when I met a handsome man at a party who got me invited there to help with a new youth-oriented radio station. I was a radio journalist at the time and I had no intentions of writing a book. I just wanted to get off my daily treadmill…but nine months after I returned, I realized going there had changed my outlook on life, and that in mid-life, everyone gets to that point where they feel trapped, regardless their circumstances. Your thoughts on life – The one thing that it takes to live it. What do you think of Bhutan as a country basis your experience? What did you think of it before visiting and writing this book? I knew it didn’t have TV until ten years ago, and I knew the people were very religious (Buddhist.) Those were very appealing to me, as I see television as a very problematic force (for all the good it has offered, it’s like candy–you can’t exist on a steady diet of it.) And I was feeling a serious lack of spirituality in my life. In the end, everyone wants love, clean water and food, and good shelter. Beyond that, the trappings and how they manifest are variant. The landscape is my favorite, followed a close second by the mythology. The least: the issues with Nepali citizens forced out of the country. How difficult was it for you to adjust to Bhutanese Cuisine? You did mention that most dishes were too hot to be tried. Super-hot spice is a big essential part of the Bhutanese diet. I’m a leafy green, fresh vegetable sort of person and that wasn’t a typical part of the diet. But having my own kitchen helped. I love the complete works of Sinclair Lewis, an American author not as widely read any more as I feel he should be. While I was writing Radio Shangri-La, I slept for a while with Midnight in the Garden of Good and Evil by John Berendt under my pillow. I thought if I could write something even a fraction as good as that, I’d be happy. I love being holed up in a room for days and hours, thinking and writing. And then walking or swimming and thinking some more about it. I don’t believe there’s a thing called writer’s block–you just sometimes need to go for a walk. Or take a protracted break. See above. I also love the southern US writers, Flannery O’Connor, James Agee, Eudora Welty. Truman Capote, too. And Donna Tartt’s A Secret History has to be still one of the most fantastically terrifying books I’ve ever read. Finally, Erica Jong’s Fear of Flying is, to me, a masterpiece. Then there’s ee cummings and Roald Dahl and, and…. Has Lisa the person changed after Bhutan? If yes, then how? I’m not sure if changed is right as much as evolved. I hope I’m more empathetic, and I’m definitely more giving. The only reason I’d like to make a lot of money is to have a lot to give away. I’m also definitely far more religious. And thankfully, I’m no longer stuck in that treadmill of a job. Finally, what next after Radio Shangri-La? I’m working with some friends to help build a library in Bhutan by raising money through READGlobal.org And I’m working on two books, one about the parties I have every Friday night at my apartment, and the other the memoirs of an American-born Buddhist monk I study with in Los Angeles. This entry was posted in Books, Interviews, random house, Review and tagged Bhutan, Books, interview, Radio Shangri-La. Lisa Napoli, random house, random house india, travel on May 30, 2011 by thehungryreader. Hisham Matar’s background has a particular resonance at the moment, with the momentous and violent events taking place in Libya. His father was a political dissident opposed the Gaddafi regime, and the family were forced to flee their home and went to live in Egypt. It was from Cairo that his father was abducted, never to be seen again by Matar, although he was reported to be imprisoned in a notorious Libyan jail. 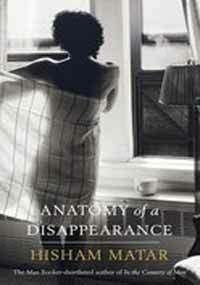 And his latest novel `Anatomy of a Disappearance’ is a moving piece of writing that draws heavily on this personal experience of loss. It is a relatively short book, at less than 250 pages, but is densely packed with emotion, desire, and desperation. It is beautifully written as it explores the relationship between Nuri, a young boy, his father Kamal, and new girlfriend Mona. It is fourteen year old Nuri who spots Mona first, by a hotel pool whilst on holiday, and he gallantly and confidently helps her to take a thorn out of her foot. She is much younger than Kamal, but nevertheless becomes his partner, but Nuri cannot repress the strong feelings that he had and continues to have for her, with inevitable consequences. His wealthy and privileged upbringing, despite the loss of his beloved mother, is the backdrop to this tale, played out surrounded by other strong female characters like his long devoted servant Naima. He is sent away to an English boarding school at Mona’s insistence, and from here has to suffer the wrench of his father’s disappearance. Kamal’s political views and actions are not clearly spelt out, but the inference about them leading to his loss of liberty is made clear. I enjoyed reading this book. At first I thought I was going to get bored with so much adolescent angst, but the story soon takes off in some very unexpected directions. The writing is beautiful throughout – sparse, elegant prose which demonstrates Matar’s ability to exercise restraint where it is required, levaing the reader to fill in the gaps. Reading Anatomy of a Disappearance is a joint-effort, the words generating an inner dialogue with readers as they reflect on the occasionally poetic turn of phrase. Hisham Matar is well-qualified to write this book, born in America of Libyan parents he spent his childhood in Libya and Egypt, but took his degree in architecture in London. As the book moves around from one location to another it is quite clear that this is normal territory to this cosmopolitan writer. This entry was posted in Books, Literary Fiction, Penguin Books, Penguin Viking, Review and tagged Anatomy of a Disappearance, Hisham Matar, longing, loss, penguin books, penguin viking on May 29, 2011 by thehungryreader. 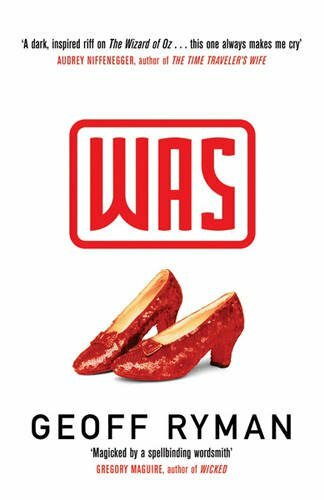 This dense and disturbing novel offers a look into the life of one Dorothy Gael of Kansas, Ryman’s imaginary inspiration for the well-loved Dorothy of the Wizard of Oz, and into a bevy of other characters whose lives are touched (directly or indirectly) by her. His Dorothy doesn’t have a happy story, and for most of the novel misery carries the day. It is softened by the depths of character and a few moving exemplars of compassion. Wrapped within the novel is a fascinating glimpse into the history of the book and the movie-from its disreputable and unsavory youth to its arrival as a full-blown American classic. “Was” is not going to be universally appreciated. It is difficult. More than once I found myself reminded of James Joyce; there’s a lot going on, and the language isn’t always easy to penetrate. The book has something to say about human nature, the way the world and other people break us. Society’s response to difference and pain. Homosexuality, child abuse, even the enfeeblement of the aged-the miseries of the human condition are shunned for their power to infect. In this book, in this world, there are Dorothies aplenty, shattered souls who need our help. This resonant novel is a powerful reminder of that fact, an incentive to let them know they are loved. Through most of this novel I would have called this a 4-star, maybe even a high 3–but I found the final section so gripping and the conclusion so powerful that I wouldn’t be doing it justice to give it less than a 5. It may not make its way to your list of classics, but it deserves its placement on mine. This entry was posted in Books, Fiction, Literary Fiction, Review and tagged Fairytale, Fantasy, Frank L. Baum, Geoff Ryman, The Wonderful Wizard of Oz, Was on May 27, 2011 by thehungryreader. Lisa Napoli – Radio Shangri-La – Out Soon! 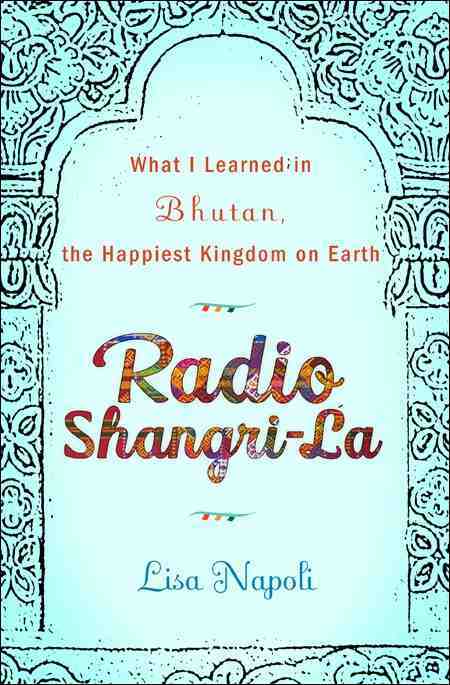 So I am very very excited in announcing on my blog that RandomHouse India is soon going to be releasing Lisa Napoli’s “Radio Shangri-La” which was earlier featured on my blog. It is an awesome book about discovering Bhutan and its culture. For me the book was like a warm, nice, and safe place that I could turn to and learn and know more about a new country. Go get this book when it is out! I will definitely post more about it. This entry was posted in Books, random house on May 27, 2011 by thehungryreader. What is the true nature of a democratic country? The real face of it. When does it appear and make itself visible or does it choose to remain hidden and elusive, considering the fact that the country isn’t really democratic, if one looks closely? The idea of the distinction in just about everything is so evident and appalling to a very large extent. 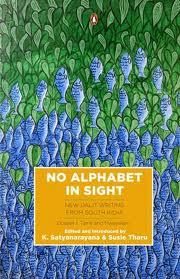 And this is when a book like “No Alphabet in Sight” is published. My personal belief is that if you can make people aware of what exists behind the shadows, then in all probability half of your work is already done. The book is a collection of New Dalit Writing and it is a first volume from South India, featuring Tamil and Malayalam Writers. Edited by K. Satyanarayana and Susie Tharu, two stalwarths in Cultural and Women Studies, this collection is a heady mix of fiction and non-fiction, basically points of view. What got me started with this collection were the poems – dark, dense and touching that basic chord in human beings, these poems are nothing short of brilliance. The volume brings together close to 40 intellectuals’ works from Tamil Nadu and Kerala – all searching and questionning the same situation – The Dalit Situation and what will be its’ fate in Modern India? The book delves into bigger questions and issues, about what it means to be a Dalit and how despite modernization and technological advancement, we are and will always remain a backward nation. People from every walk of life – teachers, clerks, students, officers, factory workers, journalists and activists, these writers bring to front their opinions, their views and what they think awareness classification should be and how will people understand the true, Dalit Movement. For me, the book was an eye-opener, making everything that was hidden being brought to the front. A must read if you have the time and the patience and the willingness to know more. This entry was posted in Books, Fiction, Non-Fiction, Penguin Books, penguin india and tagged Anthology, caste, Dalit Writing, No Alphabet in Sight, penguin books, penguin india, Rich and Poor on May 25, 2011 by thehungryreader.